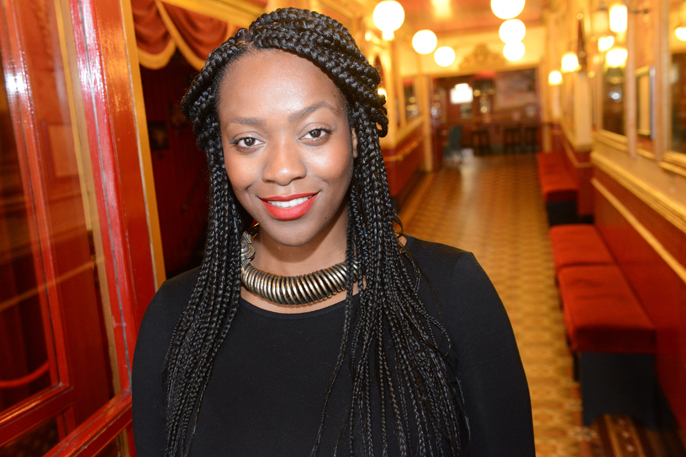 Somalia Seaton is about to have her first full length play debut at the Theatre Royal Stratford East and the actress turned playwright can’t quite believe it. As a graduate of the Angelic Tales Writing Festival, Seaton has returned to Stratford to challenge our images of beauty with her new play Crowning Glory. Speaking to the enthusiastic Londoner about her play, her acting and her work as founder of charity No Ball Games Allowed, all of her pursuits seem to involve building confidence. Seaton is a young woman determined to make a difference by improving the future generation’s sense of worth and generally making us all feel a bit more positive about ourselves. What a wonderful thing to want to achieve. What inspired you to write about the subject of hair? Several things, I think it was brewing before I knew that it was a play but I remembered something the other day. I do a lot of work with young people and I was working in reception one day, and three little girls who happened to be three different races; one white, one black and one mixed race came over and asked me to draw them a princess. So I drew them each an individual princess which looked like them and when it came to the black girl, she had braids with little beads at the end and I put a lot of work and care into doing her braids thinking she’d really like it. When I handed her the picture she just cried her eyes out! She was only five at the time and she went on to say that hers wasn’t a princess; it was ugly and she wanted hers to have princess hair like the white little girl. I tried so hard to explain to her how gorgeous her hair was braided and I was sat there with a really long, straight weave. At that age children idolise teachers or assistants and these girls would follow me around and obviously if you idolise someone you want to emulate them. And it got me thinking ‘How can I make a girl understand that she’s beautiful just as she is if she looks at me and thinks I’m trying to change something?’ Not everyone thinks of it that deeply and I don’t think you always have to but it definitely is a part of how young girls view themselves. So that set me on a tangent and helped me to conceive what is now the play. Out of curiosity, how are you currently wearing your hair? At the moment I’ve got box braids in. My hair’s been natural i.e. unrelaxed for a while now, but I’ll press it out without chemicals every now and then. I’m embracing different styles and relearning ways to do my hair. Trying to consciously dress myself! (Laughs.) But there’s no boundaries; if I decide I want to do something different I will. What form does Crowning Glory take? It’s set up as seven monologues, so you follow seven women sharing their stories and their response to the world around them. I would describe it as a satirical look at the choices that we as women make to look good. It’s very tongue in cheek in some places, heart breaking in other places but there’s a lot of light and shade. They’re funny pieces but the subject matter is one that I think requires a lot of light and attention. Especially where young girls are concerned. I’m only 28 and whenever I work in schools and watch the teenagers I can see that the girls are under so much pressure to be perfect and you can’t be perfect! You’re not supposed to be perfect, you’re supposed to be exactly what you are but society doesn’t breed that. Is it a mixed female cast in terms of age and race? Yes, they range from early 20s to 40. My aim was to do a piece that had a cross section of ages. We have mixed race, black and white actresses all coming from different viewpoints. I am a 20-something black Londoner so it’s heavily through my eyes, but mainly it’s a universal story that anyone should be able to watch. 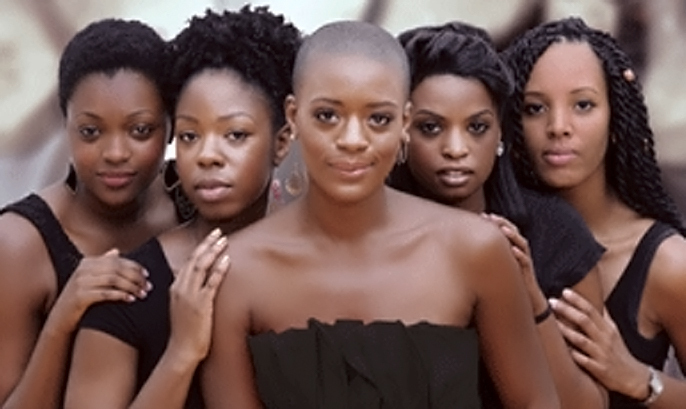 With hair being such a big thing in the black community in terms of how we as women identify ourselves, it’s going to strike a chord. I’ve used hair to touch upon a lot more issues; identity, things that should be celebrated and aren’t and other more hard hitting issues, so every woman should be able to relate to it in some way. As an actress, how have you found it being behind the scenes rather than on the stage? Stratford East are fantastic at nurturing new talent. I feel I’ve been lucky at how this came about though the Angelic Tales Writing Festival. Rikki Beadle Blair and John Gordon are mentors of mine and their help throughout has been amazing. Was Chris Rock’s Good Hair a source of inspiration for you at all? I have seen it, but was writing the play before I watched the documentary. I’ve seen so many inspirational documentaries and Good Hair is one of them and one that I’ve encouraged the actors to watch. I love that he took something which was a serious subject matter and put a comedy spin on it. Also the fact that it started because of his daughter, something so dear to his heart. People don’t want to sit through lectures; they want to be entertained. I hope I manage to do the same through this play. You’ve used the word ‘perfect’ to describe what women aspire to. As a British woman, what would you say the general image of perfection is? I think if we look at the images that are used to advertise the biggest products I think there’s a standard look, a universal look. That’s a blonde haired, blue eyed beauty. And I think blonde women are beautiful, of course, however there is not one norm of beauty. If that’s put at the top and everything else branches off of it we’re setting up a whole denomination of women for failing because they can’t meet that standard; it’s just not in their genetics. That goes beyond the western world and seeps into the developing world as well. It’s very rife, there are still adverts to this day that advertise skin bleaching products throughout Southeast Asia, Africa and the Middle East. I think we also have images of power and everything branches off of that and if you look vastly different from those, what does that do to your role in society? Is this play aimed specifically at changing the viewpoint of the younger generation? I’m inspired by the younger generation. I’m in inspired by them because we have to invest in them because they are the future, no matter how clichéd that is! (Laughs.) Literally everything I do is about investing in the next generation that will make our society good or bad. But I want my generation and older to be part of this conversation because we learn from older people’s experiences and struggles. This is a conversation for everyone, it’s aimed at everyone, but in my heart I want the young generation to recognise their part in this dialogue and the part that they have to play. As artistic director of organisation No Ball Games Allowed, is improving young people’s confidence a big part of your work? Oh massively. Massively. It’s all about confidence, self-esteem and aspirations. Aspirations is a huge one for me because that relies heavily on the images we see; if you don’t see images of yourself in positions of power how do you aspire to that? Our society is governed on aspirations which is why a lot of big corporations have outreach projects for more at risk young people which is brilliant. So a lot of what I do is about encouraging people to think outside of the box and to know that anything is available to them if they put their minds to it. What would you like to achieve through No Ball Games Allowed in the near future? Why should people come and Crowning Glory? Because they will leave learning something and they will leave feeling something. They will have a lot to talk about and it should help them on their journey. Self-identity and purpose are all big deals and I think this narrative will help aid everyone’s journey especially the journey taken by women.